I've been using the sheer mineral foundation for several years and I've tried other foundations but I always come back to this one because it gives coverage without looking packed on. When I was younger, I suffered from acne and found that mineral foundations caused fewer breakouts for me. However, even though I tried what seemed like every mineral foundation available, I was never 100% satisfied with them - they wore off after a couple of hours, looked too sparkly, or made my face itch. As I got older, I also found that mineral foundations emphasized any flaws and wrinkles, so I started using a liquid foundation from a department store brand, which looked really nice but made my face itchy and dry. This past year my skin has been even more sensitive than before, and I've started to develop rosacea. I decided to try to find a mineral foundation that wouldn't make me look a million years old and wouldn't make my skin itch. I can't believe I actually found one. Mineral Hygienics foundation is amazing. It looks completely natural, doesn't settle in lines, covers redness and small flaws, and lasts from 6 AM to 9 PM without a touchup. I even work out while wearing it and it stays put. I am completely blown away by how great this product is. My skin feels so much better and looks flawless. Thank you, thank you, thank you. Please don't ever stop making this foundation! I just ordered another starter kit for my daughter, who tried my Mineral Hygienics foundation and loved it too. I bought Mineral Hygienics years ago and really liked it. I forgot why but I started wearing liquid foundation again. Well, after laser surgery on my face I needed something gentle with great coverage. I dug through my make up bin and found Mineral Hygienics foundation, blush, bronzed, and illuminator. I put it on half of my face first just to test the coverage. My skin looked great! So now I'm back and happy to be using the products again. The coverage is amazing and doesn't feel heavy, yet it lasts literally all day! I just ordered my daughter some, as she prefers mineral makeup and isn't very satisfied with her brand. I know she'll love it too! 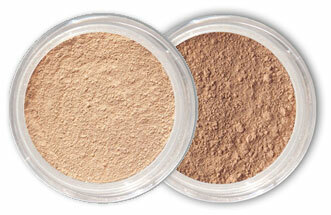 Mineral Hygenics has the best mineral foundation that I have ever used. It does not clog my pores. It gives excellant coverage but has a very natural look. I get alot of complements on my skin. So I tell them that my beauty secret is Mineral Hygenics.